We specialise in custom built tours for groups of up to 16 taken by luxury minibus. 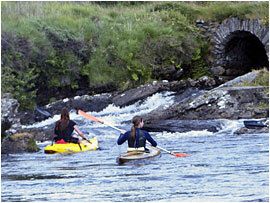 There is a wide range of activities to choose from and we feel sure there is something to suit everyone. For more information on any of the activities below please contact us. Connemara is a sight-seers paradise. The meeting of sea, land, lakes and mountains that shape the landscape of Connemara is both a delight and a challenge to the senses. 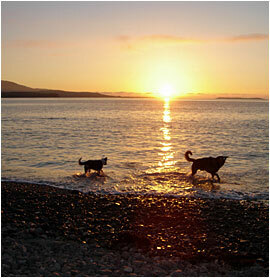 Stroll across the strand at Claddaghduff to the wonderful Omey Island. 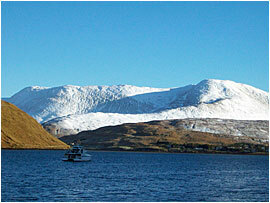 Travel the inspiring Sky Road, explore stunning beaches and spend the evening in Roundstone overlooking the harbour. Spend a while at the Connemara National Park, home of the Connemara Ponies. Follow the nature trails or simply take in the views. Walk the grounds of Kylemore Abbey and wander the six acres of Victorian Walled Gardens. Visit the pre-famine farm at Connemara Heritage Centre which includes the home of legendary Dan O'Hara. Cruise the waters of Killary Harbour aboard 'The Connemara Lady'. Walk the beaches of Lettergesh and Glassilaun, enjoy the scenery, listen to the music, drink the Guinness, but above all, relax. Macdaras Island, 7 miles out in the Atlantic, is uninhabited - a special place. 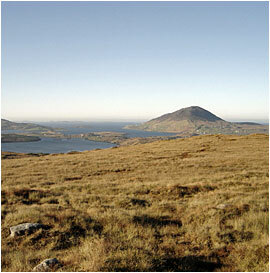 When it comes to hill walking, you are spoiled for choice in Connemara. 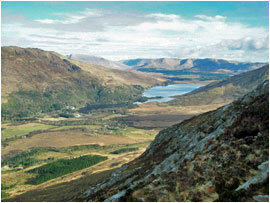 There are many different levels to which you can hill walk depending on your ability. The famous Western Way captures the essence of the west of Ireland. The route is 50 miles in length and links Oughterard with the town of Westport on the Atlantic coast, passing through breath-taking scenery of mountains and sea. For less experienced walkers and families, the Diamond Hill Trail in the Connemara National Park is well sign-posted and highly accessible, and those who make it to the top are rewarded with expansive panoramic vistas across Connemara. Connemara's proximity to the wild Atlantic ocean means you can enjoy some of the best sea fishing Ireland has to offer. 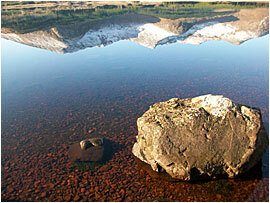 The area is also famous for its diverse range of fishing on hundreds of lakes in scenic locations. There are a number of top golf courses in Connemara. The Connemara Golf Links in Ballyconneely is set in a spectacular location between the Twelve Bens mountain range and the Atlantic ocean, . There is also the Oughterard Golf Club in Oughterard, known as the gateway to Connemara, and the Bearna Golf Club, which enjoys commanding views of Galway Bay, the Burren and the Aran Islands. With it's many beautiful, sandy beaches and wide open spaces, Connemara is a fantastic location for horse riding. This is the home of the Connemara Pony and there is something here for all ages and skill levels. Cleggan Beach Riding Centre, Errislannon Manor in Ballyconneely and Diamonds of Renvyle are three well known equestrian centres in the area. For the energetic holidaymaker Killary Adventure Centre offers a programme of adventure sports to test your skill and endurance. Activities on offer include rock climbing, abseiling, hill walking, bungee jumps, orienteering, archery, kayaking, sailing, wind-surfing and water-skiing. 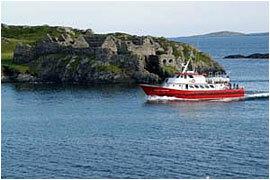 Scubadive West, located on Connemara's sheltered Killary fjord, is Ireland's leading dive school and scuba dive centre. On offer is a range of courses, for beginners right through to experienced divers.